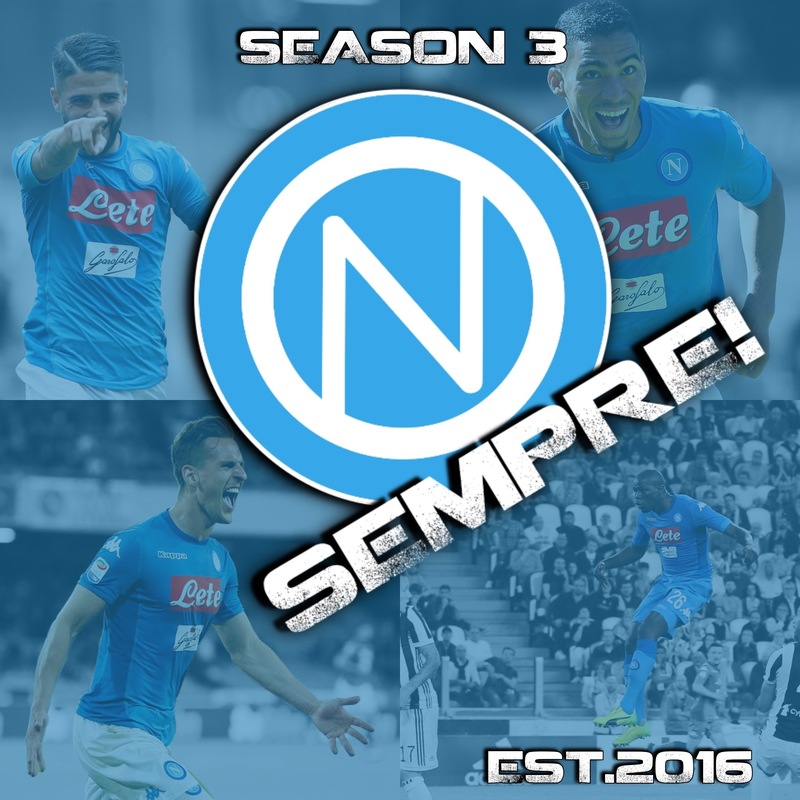 Season 1 Episode 2 - Napoli Champions League Special! Ken, Marco, and Kirsten welcome everyone to our rebirth as Far From Vesuvius. @GetNapoliTicket on Twitter...If you are going to Naples, we cannot recommend this service enough. Get your match day tickets, and even the opportunity for post-match driving services to get you back to you hotel or AirBNB. We also duscuss some big news regarding the future of Sempre! Thanks for listening, and remember to check out the links below for more content from our staff, our t-shirts, and our Patreon page. Season 3: Episode 1 - Red Flags, Red Flags Everywhere. Our opening day win at Lazio. An astounding comeback to win at home to Milan. Dries Mertens role at Napoli post-Sarri. The on-going, and now very public, spat between the club and the city over the Stadio San Paolo. plus much more on our last Summer of Sempre! before the season starts. Summer of Sempre! - Episode 5: I’ll take a Cavani … shaken, not stirred. On this weeks show James, Raffa, and Frank chew over a weeks worth of Napoli news including ADL’s purchase of Bari, the state of the San Paolo with the new season just two weeks away, the possibility of Dries Mertens departing, Andrea Belotti’s rumoured arrived (or is he just a decoy?). Oh, and we dissect our disasterous trip to Ireland, where we lost 5-0 to Liverpool. We also report on a fantastic tale we read on Sunday morning regarding the story that won’t go away, and that’s Edinson Cavani … trust us, you DON’T want to miss this example of classic Neapolitan story telling. All this and more, on another jam packed Summer of Sempre! Summer of Sempre! - Episode 4: Who’s Your Cavani? Cavani rumours, a new kit launch, the move to Melito, Arek Milik for Capocannoniere, the future role of Marek Hamsik, Edy Reja’s return to the club, Amin Younes, Dimaro round-up, and much more on an absolutely packed show. Summer is in full swing, and in our third Summer of Sempre! episode, James and Kenny go through the last few weeks of Napoli news. Napoli's players in the World Cup. And we answer some of your #AskSempre questions! We also chat our new Patreon page, and ways your support could help us at the podcast! Summer of Sempre! - Episode 2: They Say Geniuses Pick Green. The arrival, officially, of Simone Verdi. Jorginho's move to Manchester City and the attitude of certain Man City fans towards Napoli and how we do business. Hamsik edges closer to China. Sirigu as our new No.1? And much more on a fun filled summer special. Welcome to the first of many summer Sempre! Xpress episodes where, in spite of the World Cup, we'll keep you up to date with the world of SSC Napoli thoughout the off season. The facts on Sarri’s Chelsea saga. Napoli say “no” to Rui Patricio. Perin to Juve - who cares? Thanks as always for your continued support, we can't wait for the new season to begin and kick off our THIRD year covering the club we all love. Carlo Ancelotti signs - Sempre! reacts. Just hours after the announcement that Carlo Ancelotti would be the new Napoli manager next season following the departure of Maurizio Sarri, the boys sit down with special guest Aaron (@ReDiCampania) to discuss the appointment and what it could mean for the club moving forward.